Earlier this month, I read an opinion piece, “Education programs important for our national security,” written by retired Assistant Adjutant General – Air, Idaho National Guard Brigadier General Richard Turner, who offered a sobering assessment of the educational conditions in our state. He begins with a shocking statement: “More than 70 percent of young people in Idaho are ineligible for military service according to the Defense Department.” He cites “problems with education, obesity, drug abuse, or crime” as the reasons for our inability to serve our country. Our professional military does not accept applicants without a high school diploma and 20 percent of Idaho students do not graduate from high school. Most concerning of all, 14 percent who did graduate and attempted to serve scored too low on the military entrance exam to qualify for enlistment. Other leading causes for exclusion from service are obesity and arrest records. General Turner then pivots to solutions. He discusses the positive effects of nationwide preschool programs that have made huge advances on these issues. States that have embraced universal pre-kindergarten programs have seen markedly improved high school graduation rates, reduced teen arrest rates, and decreased childhood obesity. Yet Idaho is one of only seven states without a pre-K program and there is only space for 35% of Idaho’s children who are four or younger. We know the solution is to fund pre-K programs, pay teachers adequately for their work, and fund our school districts, but our current state legislators will not pass legislation to make these hypothetical solutions real. Idaho has a proud military history. Men and women from Idaho have served our country well and deserve all our respect. But what about the future generation? How well are we preparing our children for what comes next? The facts provided by General Turner demonstrate that our students are not being prepared for the military or for future jobs that require technological and reasoning skills. We know that we can do better when more than 20 percent of Idaho’s students don’t graduate high school. 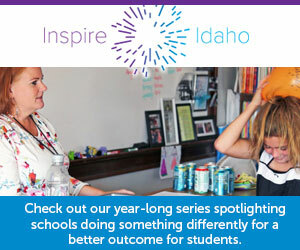 Idaho’s lawmakers have, together, made the decision to short-change our students. They have created this terrible situation and show no interest in correcting it. As your Lieutenant Governor, I will strongly support raising teacher salaries, providing adequate funding to school districts, and creating pre-K programs that will strengthen the future of Idaho’s children. Here’s to a better future for our children and Idaho! Written by Kristin Collum, a Democrat candidate running for Idaho lieutenant governor.